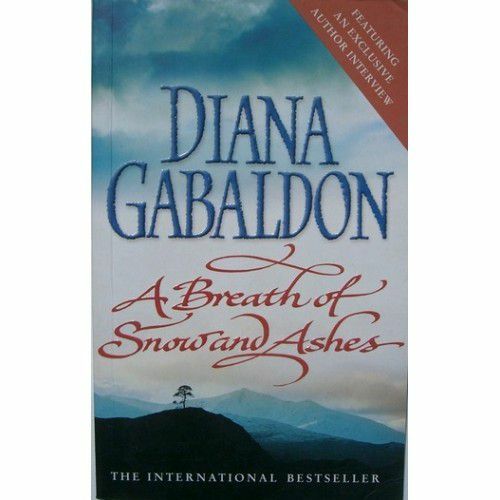 A BREATH OF SNOW AND ASHES, is the sixth novel in the OUTLANDER series (following THE FIERY CROSS). Here, history once more catches up with the Frasers, and Jamie is at last obliged to declare himself a rebel, though this means the sacrifice of much of what he’s built. The American Revolution is a civil war, with neighbor turned against neighbor, and the community of Fraser’s Ridge begins to fragment. The fragile veil of law is rent, and bands of roving men ravage the land, stealing, burning, and destroying, often not bothering to shield their actions behind the curtain of politics. Pirates are not the only thing on Ocracoke. The island is the site of a small standing stone circle–a place that brings one strand of the story to a moving conclusion.